Pledge Now to Be Inspiring this MAY by doing something great with your students. We try to put this into action every day as we post new material on our blog, send messages through social media and provide professional development for creative teachers. It’s the “Get Inspired” part of our motto. We are happy to announce that we are now instituting a BE INSPIRING day for educators everywhere. It’s a chance for you to do a little something extra inspiring for your students, an excuse to go out on a limb and try something new. Join us and Be Inspiring on or around May 15th. Sign up by commenting below! You can also join our Inspiring Teachers FB group and share there! What is Be Inspiring day? Be Inspiring day is a day where you can do something out of the ordinary with your students to inspire them as learners. It is a chance for you to be creative in your teaching and to inspire your students to do the same! When is Be Inspiring day? We have made the day the middle of May, May 15th, but it’s not always easy to make a set date work. You can make it whatever day in May fits your schedule. How do I sign up for Be Inspiring day? Just add your name to this page by commenting below. Tell us where and what you teach and add an idea of what you will do or would like to try. Ask others for some ideas too! 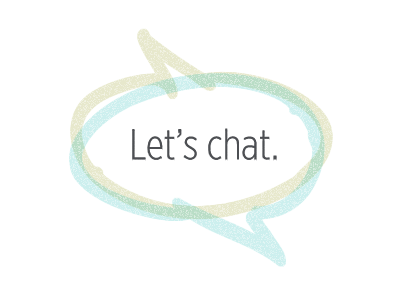 Our first Twitter chat was Wednesday, May 1st when Elizabeth co-moderated on #ntchat. Here is the archive of that energizing and positive chat! What is something I can do on Be Inspiring day? Read your favorite poem and talk to students about what makes it special to you. Conduct a Studio Day with your students. Go outside and examine nature. Share a personal story about your own learning and encourage others to do the same. Try a new lesson that you have always wanted to try. Introduce an art form to your students. Share a song you love. Tell the story of why you love it so much and encourage others to share one as well. Add other ideas here in the comments! We all need the excuse to try something new or to think outside the box, to change things up a bit. This is why we created Be Inspiring day and that’s why you should participate. Do something small or large, it doesn’t matter, just do something! You will be glad you did! Inspiration is everywhere. Students need to see inspiration, receive inspiration, and be able to find was to inspire others. Give students the opportunity to share what they like about their mother, or caregiver. Make a Mother’s Day card with adjectives on heart-shaped flower petals. Use a rarely used art medium, like pastels, acrylic paint, or applique. I want to make my students time at school as inspirational as possible. I’m having my students participate in a passion project. They will write about and showcase their passions. Yes… It’s five years later, but I’d love to see you participate again this year! I want my students to write letters to thank someone that has been inspiring to them. I love this idea! It would be a great Friendly Friday activity. I’d like to inspire my students by involving them in creating a lesson or activity based around something they enjoy. Love the enthusiasm to inspire students and the ideas so far! I hope you come back to comment and let us know how things are going as you continue to inspire your students! I can’t wait to be intentional about spending one-on-one time with students on Wednesday! I can’t wait to get this idea started up again. I NEED it this year, especially in the midst of testing season. I want to do a fun art project with my students that will get them excited and focused all at once – give them something they can care about!